Referrals - our best and most important resource – we need you, our candidates! Networking through extensive database, clubs, organizations, professional associations. Reference checks as required by the client. Perform other investigations as required by the client. Fees are generally paid by the client company and not the candidate. Recruiters typically recruit candidates for open positions with a client; they don’t typically search for open positions for a specific candidate or try to market a specific candidate. Clients have very specific qualifications they search to find in a candidate and there is not much flexibility to deviate from their requests. 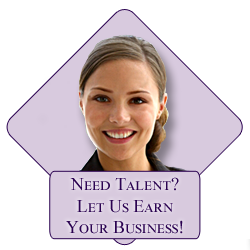 Clients typically use a recruiter to assist in locating a candidate from the competition or a very similar industry. 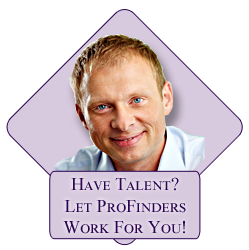 Remember, at ProFinders, we support career objectives through commitment, resources and placement. Copyright © 2019 ProFinders. All Rights Reserved.